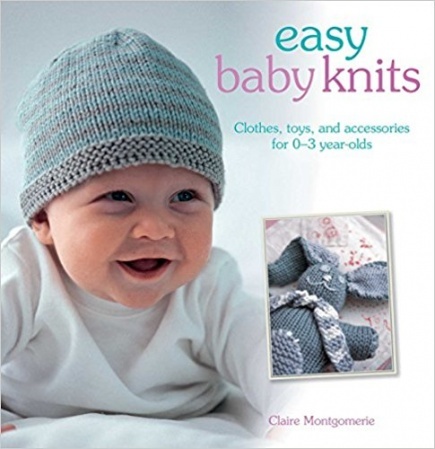 Easy Baby Knits features beautiful designs that babies and parents alike will love. With easy-to-follow patterns and imaginative projects, you'll be itching to get knitting for your own or someone else's baby. The Getting Started section tells you everything you need to know to start knitting, including how to cast on and cast off, the basic knit and purl stitches, and how to get the right gauge. Essential techniques such as increasing and decreasing are also covered, and there are handy tips for fixing mistakes and reading patterns. Then there is a delightful selection of Baby Clothes to choose from, starting with a simple scarf, then moving on to some gorgeous bootees―the perfect gift for a new baby. There are adorable clothes for both boys and girls, including a smart double-breasted coat, some cute and colourful overalls, and a pretty pink wrap top. In Toys and Accessories you will find simple projects to make for the nursery. Babies will be fascinated by the birds mobile and the rabbit soft toy is sure to become a faithful companion. Create beautiful mementos that will be treasured forever, such as a special gift bib, or a naming day blanket. Finally there is a useful suppliers section to help you source yarns and equipment.